One big pan, big enough to fit the whole cabbage. With christmas just around the corner, you might be looking for a nice and filling side-dish. 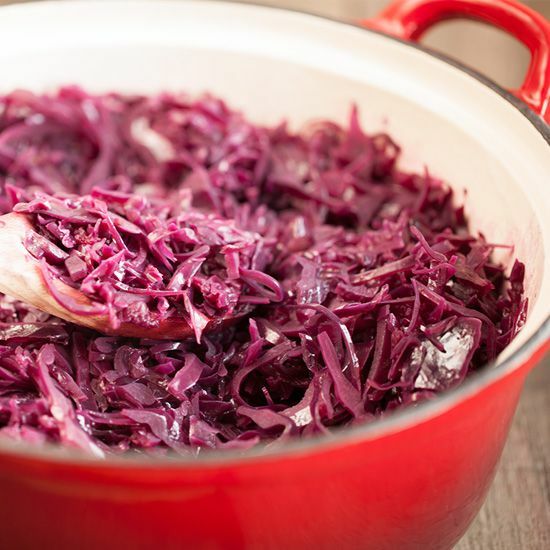 This braised red cabbage is exactly that! 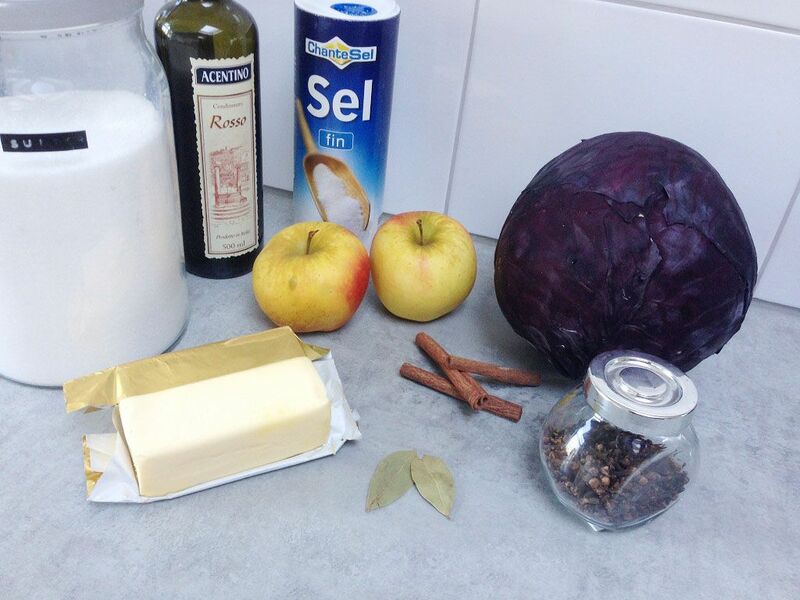 Your christmas dinner will be complemented with the smells and taste of red cabbage, apples and cinnamon. De-licious! 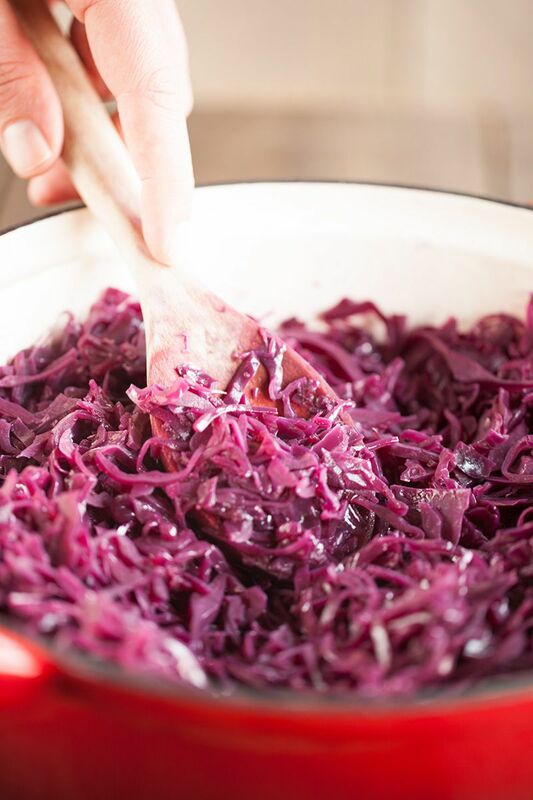 SLICE the red cabbage into fine slices. Make a herb package, we’ve used a larger tea strainer for this. You can also use some string, but you’ll have to look for the cloves later on. 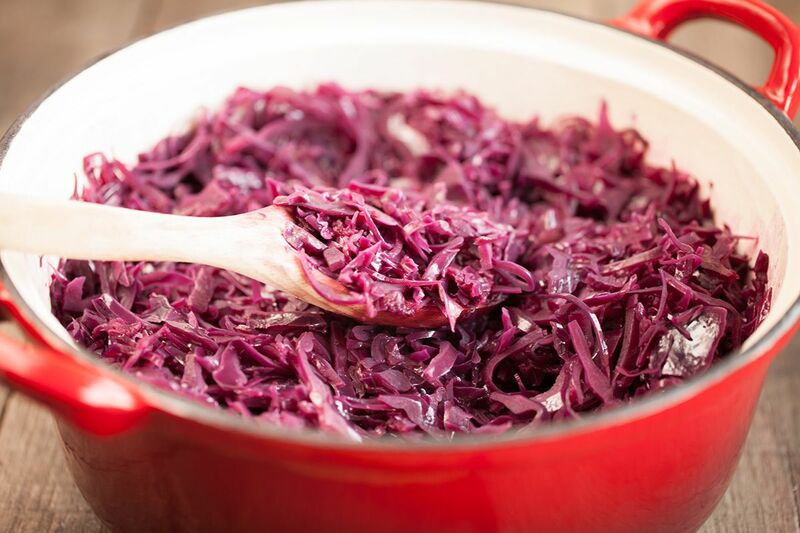 MELT the butter in a big pan and saute the red cabbage for a few minutes. Turn down the heat and ADD 1.5 dl red wine vinegar, 3 cinnamon sticks, two bay leaves and 6 cloves. STIR occasionally while having the lid on top. Let simmer for about 45 minutes. In the meanwhile you can clean and peel the two apples and dice them. If you decide dicing the apples sooner, you can sprinkle the diced apples with some lemon juice, this will prevent being discolored. ADD the diced apples and sugar, let simmer for another half an hour. Season with sea salt and pepper, you can add some extra cinnamon powder if you find that the red cabbage is a bit faint. REMOVE the herbs, this is why we made the herb package earlier on.